Valentine's Day (or Saint Valentine's Day) is observed on February 14 each year. 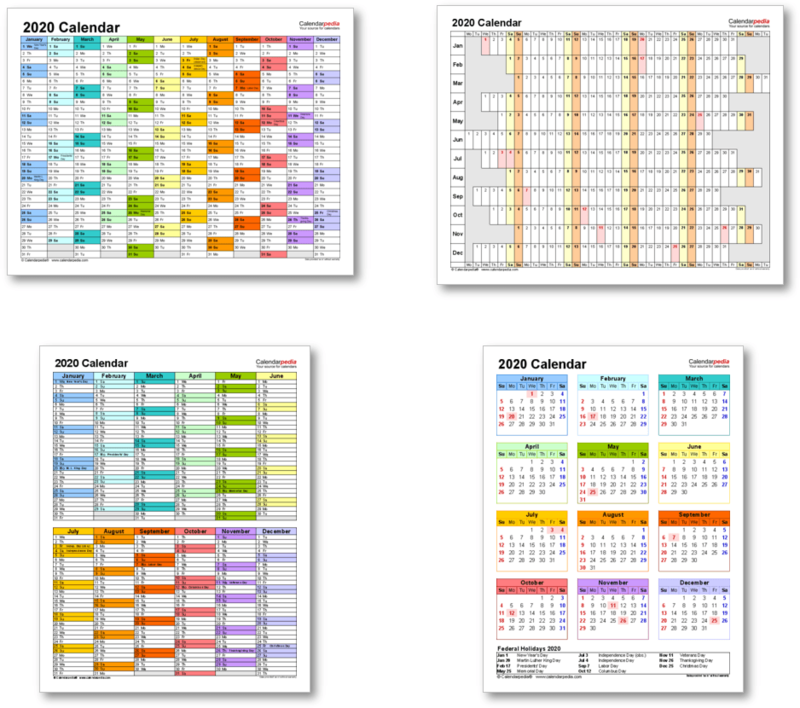 Today Valentine's Day is celebrated in many countries around the world, mostly in the West, although it remains a working day in all of them. 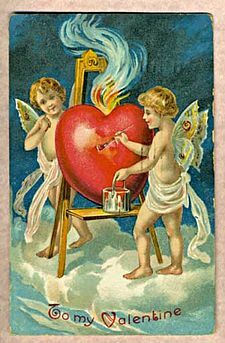 The original "St. Valentine" was just a liturgical celebration of one or more early Christian saint named Valentinus. All the modern romantic connotations were added several centuries later by poets. Modern Valentine's Day symbols include the heart-shaped outline, doves, and the figure of the winged Cupid. Since the 19th century, handwritten valentines have given way to mass-produced greeting cards. 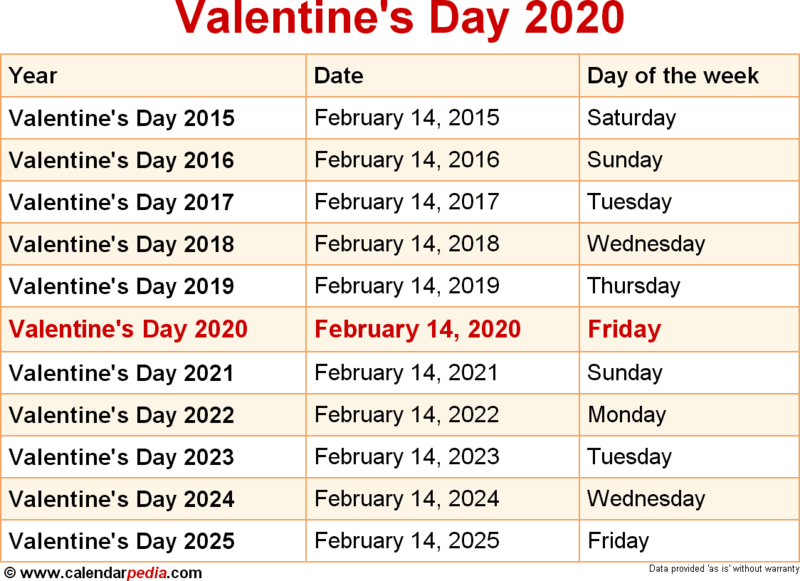 When is Valentine's Day 2021? The next occurrence of Valentine's Day is marked in red.